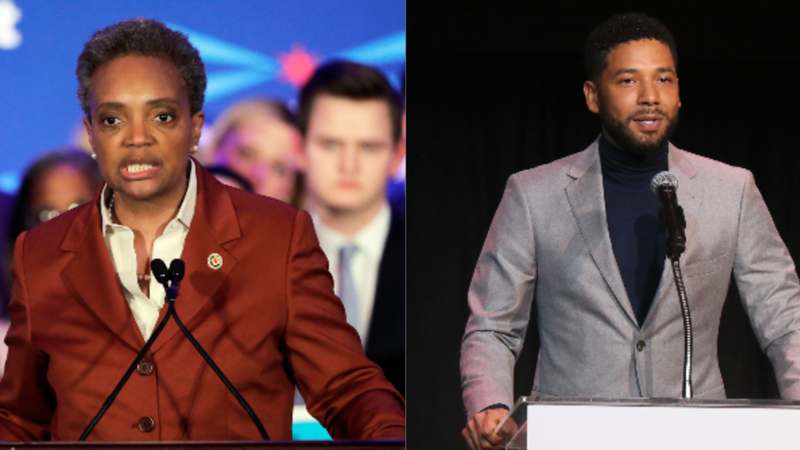 (L-R): Lori Lightfoot speaks at her election night party Tuesday, April 2, 2019, in Chicago. Jussie Smollett speaks at the Children’s Defense Fund California’s 28th Annual Beat The Odds Awards on December 6, 2018 in Los Angeles, California. As we continue to follow along with the soap operatic saga known as Jussie Smollett’s Chicago case, many have expressed a desire for it all to be over. The rollercoaster of plot twists — including the biggest of them all, when all charges were dropped, abruptly — sent everyone in a tailspin, and frankly, it was exhausting. Recently, the city’s police union demanded Cook County’s State Attorney Kim Foxx resign amid her office’s decision to drop the 16 charges against Smollett. However, Foxx appears to be an open book and wants the truth to come out into the light. On Friday, Foxx confirmed she is in “full cooperation” with the investigation, which will be led by Inspector General Patrick Blanchard. Lightfoot will be officially sworn in as Chicago’s 56th Mayor on May 20.